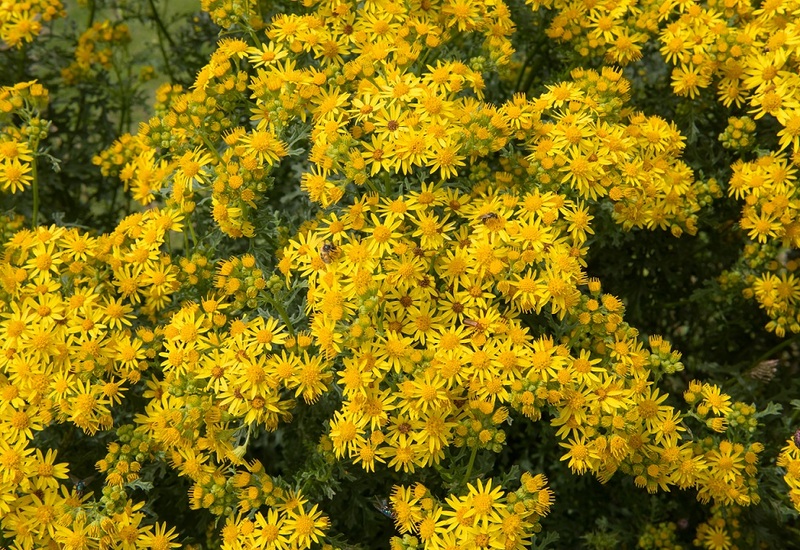 Ragwort and horsetail are some of the most common invasive species in the UK. Our company offers site clearance, ragwort control, and horsetail control to keep your land looking great. Before you invest in site clearance though, consider a few important things you should know about this species. Ragwort and horsetail are toxic to livestock. They also happen to be two of the most commonly reported weeds. Animals who can be poisoned by ragwort include cattle, sheep, ponies, and horses. Any type of feed or forage that contains these two weeds is non-usable as it can kill livestock. Be sure to keep livestock away so they don’t overgraze and make bare areas where ragwort can take root. Ragwort control is fairly simple. Spraying and wiping your weeds with chemicals can prevent its growth. You can also remove live or dying plants by digging them out of the ground. You can also do site clearance and cut back plants to prevent their seeds from dropping. Burning plants with a spot burner can also be an efficient way of removing ragwort and horsetail. Above all, make sure that you do not let ragwort spread by dropping seeds on your property. The only way you can do this is to remove and dispose of ragwort properly. If you choose to get rid of it in small parts you can let it rot on site in containers and use a lid to prevent it from spreading by using a ridged compost bin. If you’re going to dispose of it in larger quantities, you’ll need an on-site biomass facility. Use an incinerator to properly burn up ragwort. You’ll also want to check in with local authorities to ensure you are getting rid of it according to local standards. And don’t forget that you’re breaking the law if you use a site that is not permitted to allow legal disposal of waste, which could lead to a fine or prison. For more information about ragwort control, horsetail control, or site clearance, please contact our team today.